This week we learned that Marco Valerio was leaving the Global Poker Index to take over his former home, QuadJacks.com. Valerio is one of three people involved in the NEWQuadJacks.com, along with Tobias Block and Matthew Kaufman, with Marco acting as the site’s General Manager. Before I take a look at what you can expect from the new incarnation of Quad Jacks let me outline the site’s somewhat tumultuous history. April 15, 2011 will be remembered for one thing, but in the hours and day after the US Department of Justice turned the US poker world on its ear a new poker media outlet rose to prominence, QuadJacks.com. The brainchild of Zac “ZekDay” Hart, the basically unknown poker podcast suddenly became the best-known poker podcast in the world thanks to a marathon podcast where they stayed on the air for days following Black Friday. 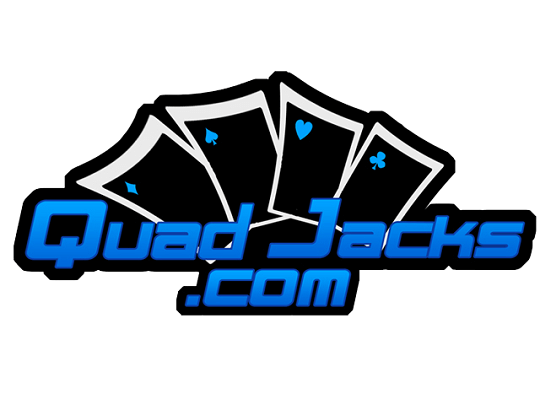 The exposure from their Black Friday podcast gave the site instant credibility and in the aftermath the QuadJacks podcast was booking the biggest names in poker and the QuadJacks booth/table at the WSOP turned into a must-stop for players. Unfortunately, this is when the wheels started to fall-off for QuadJacks.com and owner Zac Hart. A series of allegations by other podcasts, along with the very public fallout with one of the faces of the site, Thomas “SrslySirius” Keeling, left the QuadJacks reputation a bit bruised. At the same time, Black Friday was starting to resolve itself, and the need for QuadJacks type reporting was waning. As the site’s content started to dwindle QuadJacks looked more like a Fantasy Sports ad-dump than an online poker media site, and the final straw came when Marco “AgentMarco” Valerio, who was the site’s lead interviewer, left the site earlier this year, eventually joining the Global Poker Index before his recent return as the GM of QuadJacks. After Marco’s departure QuadJacks was basically silent. The real end came when even further allegations regarding shady business dealings with Zac Hart came to light, and now QuadJacks is in the hands of Marco Valerio and company. Since the takeover we’ve seen three articles in two days at QuadJacks (that’s three more than the site has posted since December 18, 2012) and according to Marco, “…when you hear us make reference to all the “exciting new features,” we are talking about things that tend to go beyond traditional poker media.” So, it seems Quadjacks will be a multimedia outlet, likely renewing their popular podcast?